I’m starting with the new VAIO F Series laptops from Sony that do come with 3D-capabilities, meaning a 3D-capable display and a pair of Sony shutter glasses that will allow you to play games in stereo 3D mode as well as enjoy multimedia 3D content on the laptop. You will be getting a 16-inch Full HD 3D-capable display with these laptops with a LED backlight, Intel Core i7 processor and NVIDIA GeForce GT540M graphics with 1GB DDR3 VRAM and DirectX 11 support. These laptops from Sony however are not using Nvidia’s 3D Vision technology, but either something developed by Sony (not very likely) or more likely licensed software from a middle-ware company. The 3D capable Sony VAIO F Series laptops are using the same shutter glasses as the company has available for their line of 3D-capable Bravia television sets, so we know they are very good. And the software used should allow gaming in stereo 3D as well as 3D movie and 3D photo playback, there is also a conversion from 2D to 3D videos. 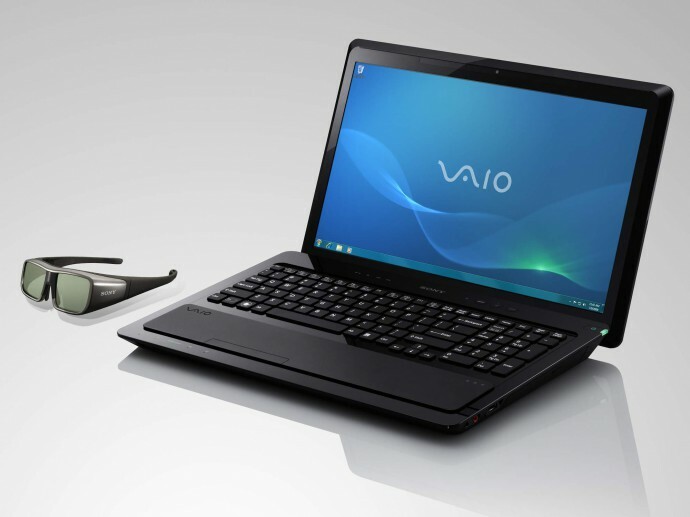 The new VAIO F Series 3D notebooks are expected to be available from the end of February 2011 and the pricing has not yet been disclosed, so we’ll have to wait a bit more before finding all the details and before actually being able to judge the level of quality Sony’s stereo 3D implementation offers. 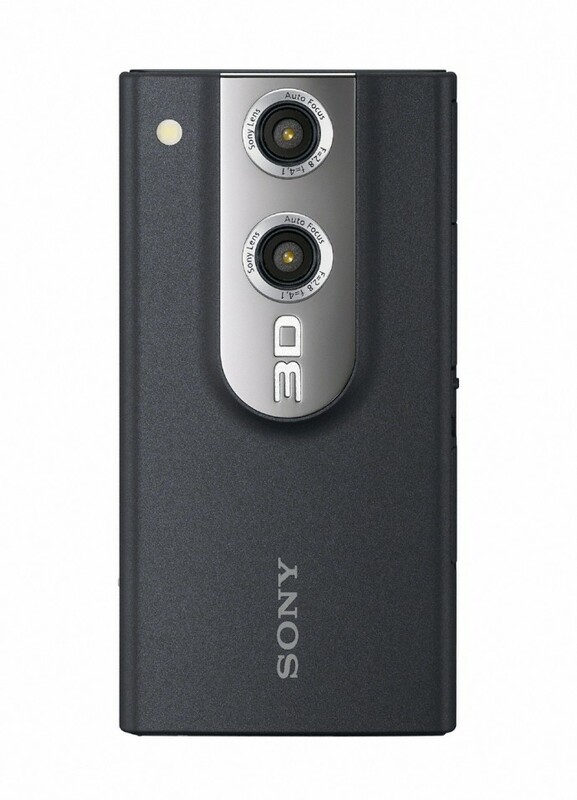 Next in line is the new Sony Bloggie 3D camera/camcorder (MHS-FS3) or actually something in between as Sony calls these devices mobile cameras. What in interesting in the whole line of Bloggie products is their compact size, simple use, nice functionality and capabilities along with easy options to share the content you shoot with them in the form of photos and videos. The new 3D-capable Bloggie mobile camera should be capable of shooting 1920×1080 MP4 video and 5-megapixel still photos in 2D or 3D thanks to the presence of two lenses, two image sensors, stereo microphone and built-in LED light. The Bloggie 3D also will have a 2.4-inch LCD screen using autostereoscopic 3D technology that does not require you to wear glasses in order to preview the stereo 3D content you’ve shot in 3D. The Bloggie 3D MHS-FS3 with 8GB of internal memory should be available in April 2011. The next product and the one that I’m most interested in is the first true 3D-capable camcorder coming form Sony and targeted at consumer and not professionals. I’m talking about the new Sony HDR-TD10E “Double Full HD” 3D consumer camcorder that as the way Sony describes it is using two lenses, along with two sensors in order to provide you with Full HD and should provide you with full resolution stereo 3D frames (1080p for each eye). TO be more precise, the HDR-TD10E uses double Sony G Lenses, double “Exmor R” CMOS sensors and double “BIONZ” image processors all of which developed by Sony and also used in single implementations in other of the company’s camcorders. The dual recording system yields the ability for 3D content to be played back in Full HD 2D automatically on non-3D displays, while 3D footage can be played back without glasses on the camcorder’s crisp Xtra Fine 3.5-inch 3D LCD touch screen (again an autostereoscopic 3D display), and you can also play the Full HD 3D videos on any 3D capable HDTV. 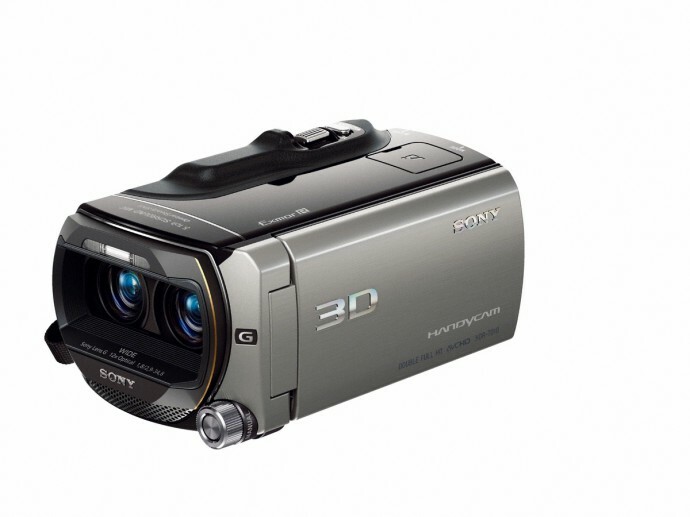 The Sony HDR-TD10E 3D camcorder should be able to offer 10x optical zoom with Optical SteadyShot image stabilization in both 2D and 3D mode and the space you’ll get for recording is 64GB flash memory. The Sony HDR-TD10E 3D camcorder should be available in April 2011 and although price is not yet commented I’m eagerly anticipating this one and will probably get it to replace my custom Sony HDR-SR11E-based dual camera parallel rig. What we don’t yet know though is the actual interaxial distance between the two lenses on the new camera and it is hard to judge that only from the photos, but I’m assuming it is about 6-6.5 centimeters (2.36-2.55 inches) from what I’m seeing. Now the only thing that still seems to be missing from Sony’s portfolio for this year is a true stereo 3D-capable digital camera in compact and in DSLR format, but maybe Sony will also announce such product by the end of the ear since 2011 is just beginning. Meanwhile Sony has announced five new 16.2-megapixel Cyber-shot cameras: models DSC-TX100V, DSC-TX10, DSC-HX7V, DSC-WX10 and DSC-WX7 are featuring a new function called 3D Still Image mode, for taking stereo 3D images using only one lens and imager. This of course goes along with the already announced and also available in these models 3D Sweep Panorama mode that allows you to take wide panoramic pictures in 3D with just a single lens and sensor cameras (just a reminded that the panorama mode could also take normal still 3D pictures on older Sony cameras that support it). According to Sony in 3D Still Image mode, the 3D digital camera takes two consecutive shots in different focus positions to calculate the depths, creating left-eye and right-eye images to produce a 3D effect. 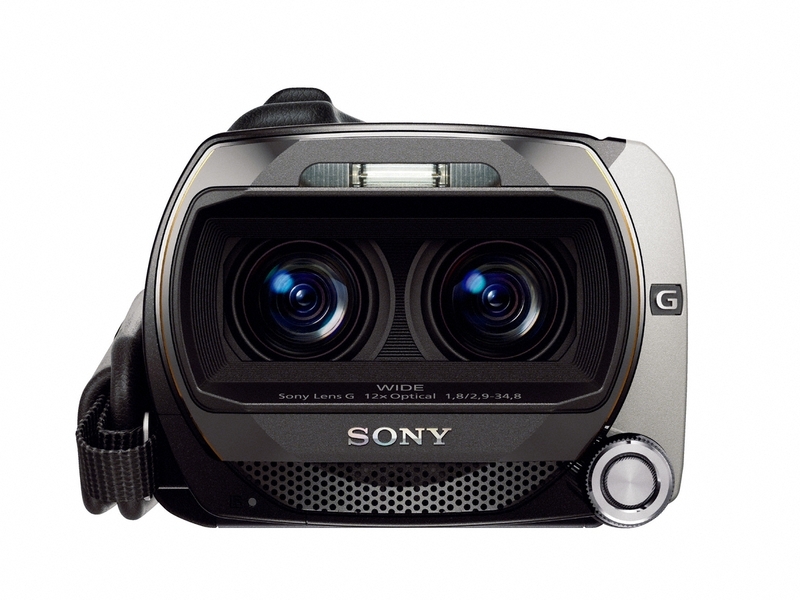 And since these new cameras are not equipped with 3D-capable displays you will have to connect them to a 3D HDTV in order to view the 3D photos in stereoscopic 3D mode.